Hrvatski Glas (Croatian Voice) was a Croatian language newspaper published by F. Dojacek with the support from North American Croatian community and Croatian Party of Rights. The newspaper was published weekly in Croatian and English. Hrvatski Glas was a successor of the former Croatian newspaper called Kanadski Glas (Canadian Voice), which was published from 1929 to 1932. The editor of this newspaper was P. Stankovic. 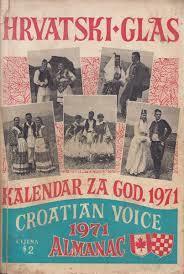 In 1964, Hrvatski Glas was sold to Croatian Peasant Society. In 1977, Hrvatski Glas moved from Winnipeg to Acton, Ontario.